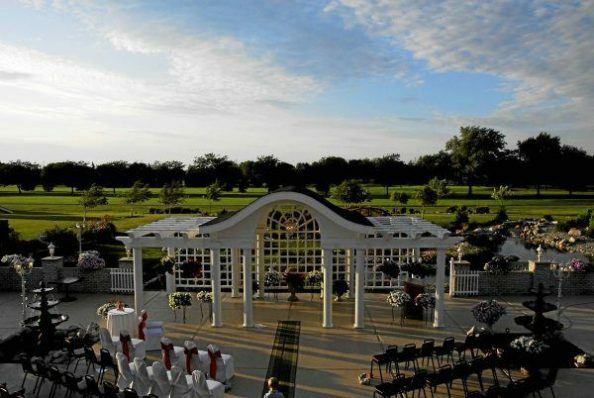 The Grand Banquet and Conference Center is a family owned facility offering a variety of beautiful banquet halls, ballrooms, and an exquisite outdoor venue, to host your wedding ceremony or reception. 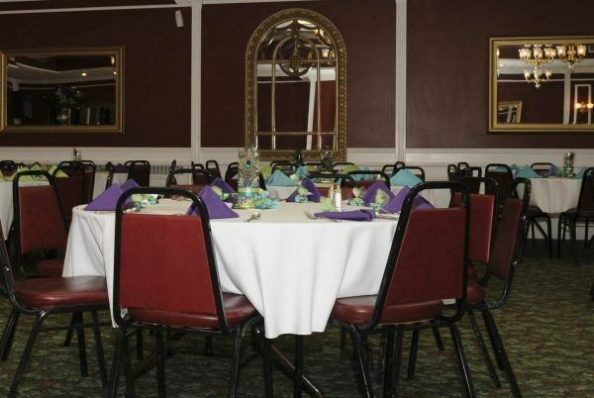 We offer a total of three room options seating up to 550 guests. 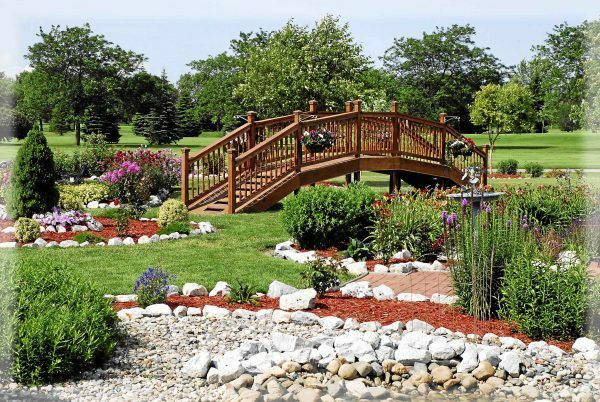 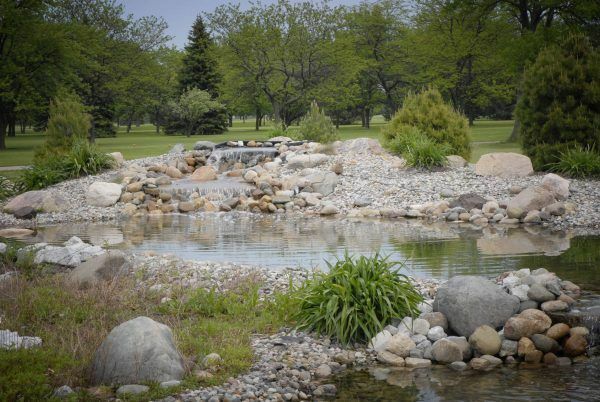 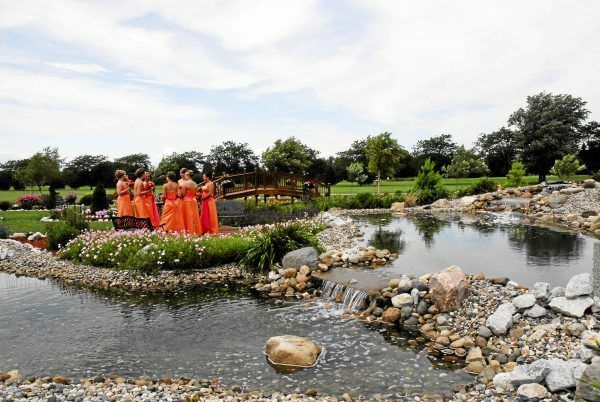 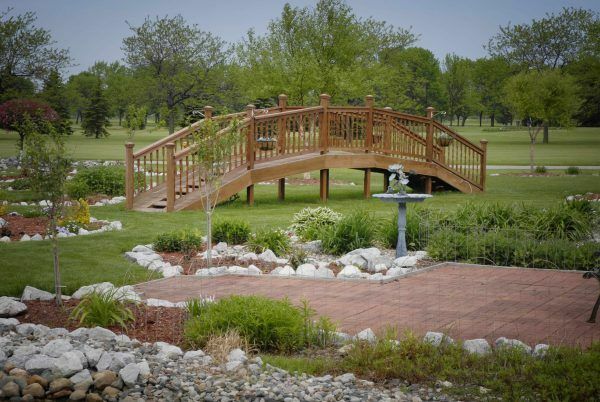 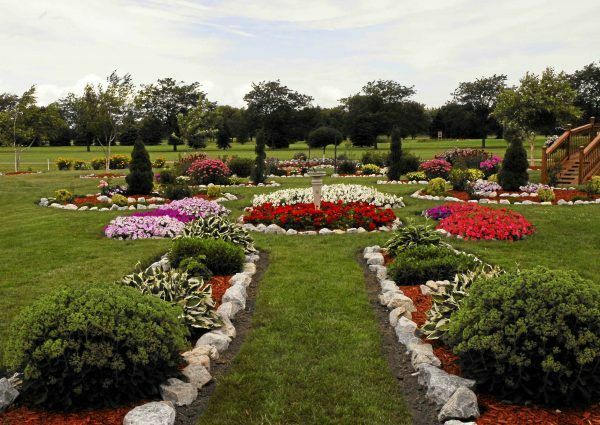 Our outdoor venue is surrounded by exquisite gardens, waterfalls and a patio area. 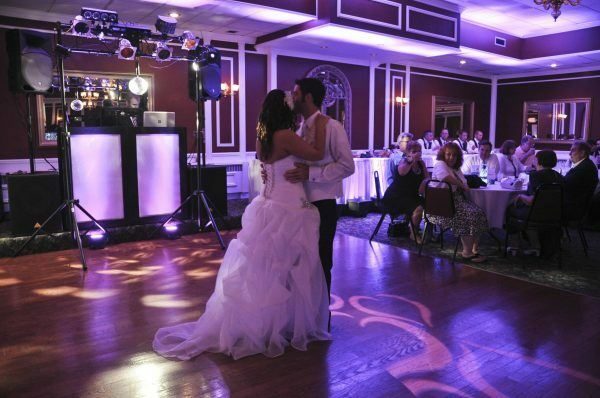 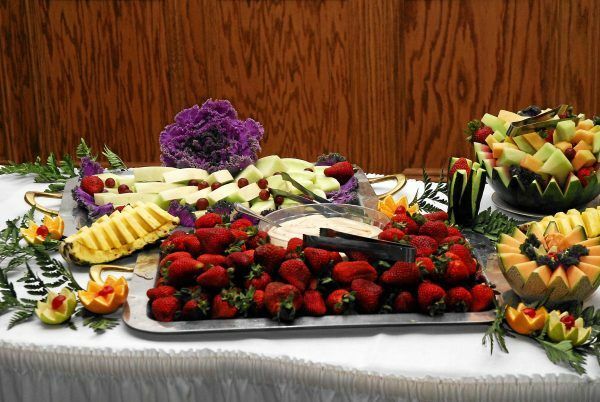 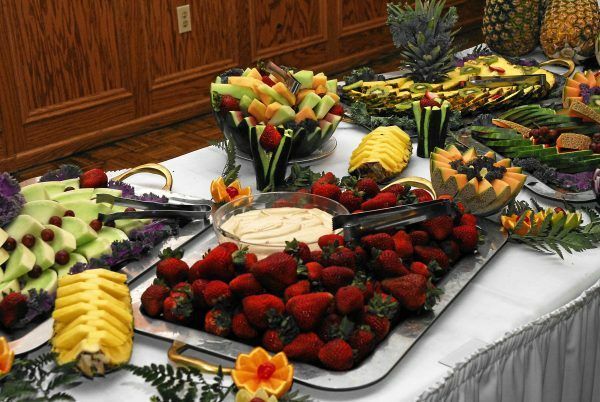 We offer full-service dinner and dessert, on-site alcohol, linens and decor, and a variety of dance floor options. The Grand is a unique venue for your wedding ceremony, reception, and other events, and is staffed with a team ready to give you the event you are looking for! 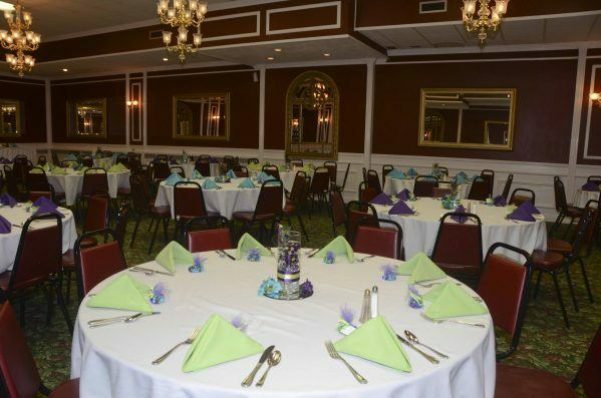 The ballroom features 132 feet of windows, large elegant chandeliers, two spacious dance floors, gorgeous views of the gazebo, garden, waterfalls, and the Bay County Golf Course. The hearth room is known for guests enjoying the option of being able to sit on the patio and the tranquility of the outdoor gardens and waterfalls. 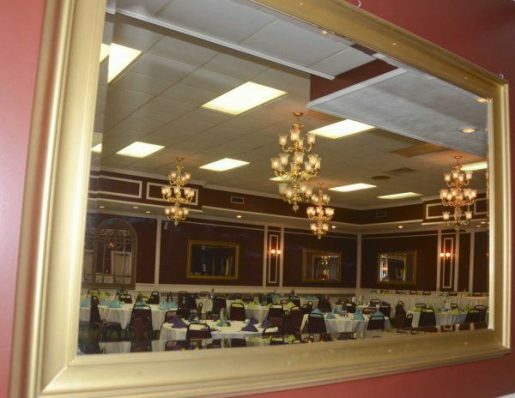 The Gold room is a perfect location for a small intimate wedding ceremony, reception, baby or bridal showers, class reunions or anniversary parties. The outdoor gazebo offers a nontraditional option for a wedding ceremony venue. 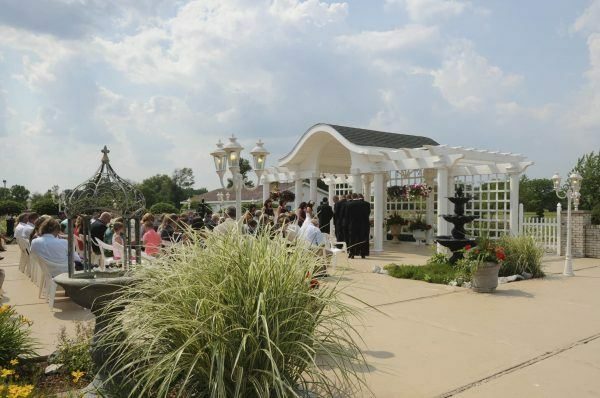 The gazebo is a completely decorated area with a seating capacity of up to 200 guests. In addition, the bride and groom will receive a three foot ice sculpture as a gift from us; a tradition at the Grand! 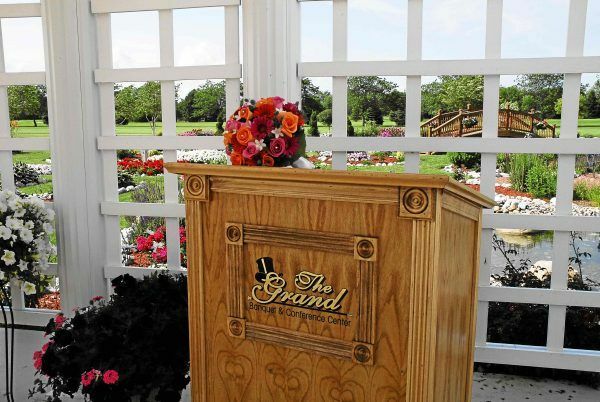 Our team at the Grand truly loves being a part of all the wonderful events hosted here. 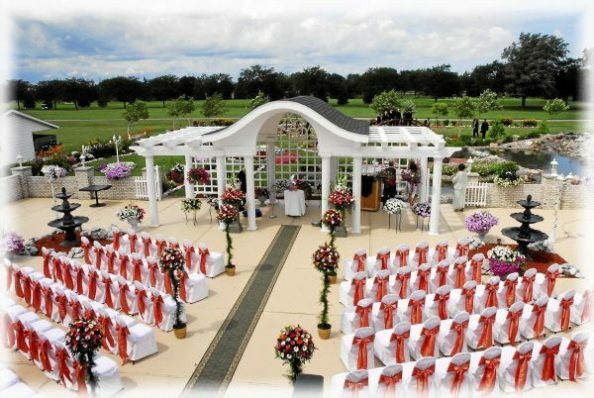 Each team member is skilled, trained and experienced in event hosting, and we guarantee excellent service. 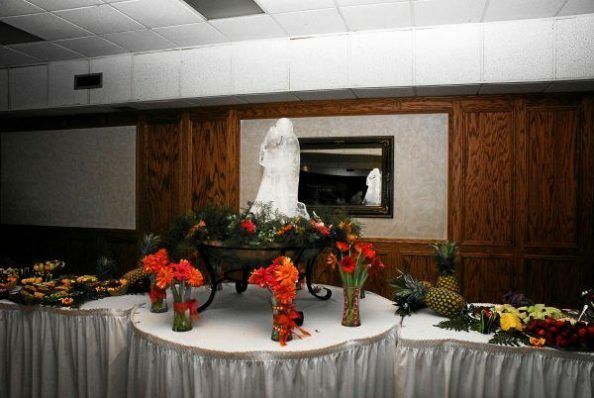 You can put your trust in us! 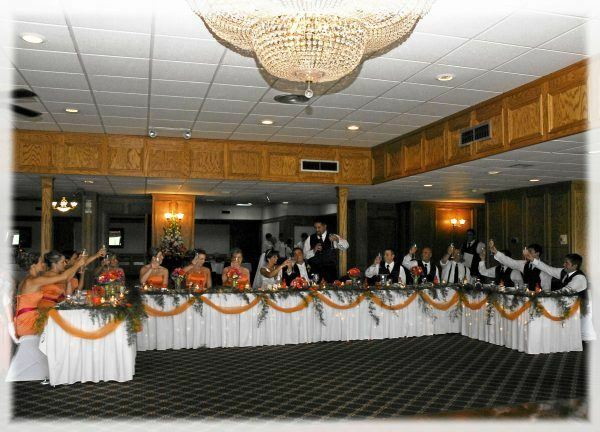 The facility was built in 1968 and previously known as the Elks Club; our team takes great pride in maintaining the facility and grounds, and most importantly, offering a beautiful venue for your big day! 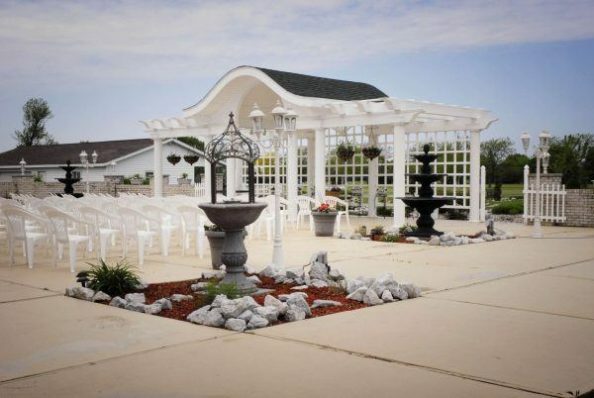 For more information, contact us at 989-893-9303.